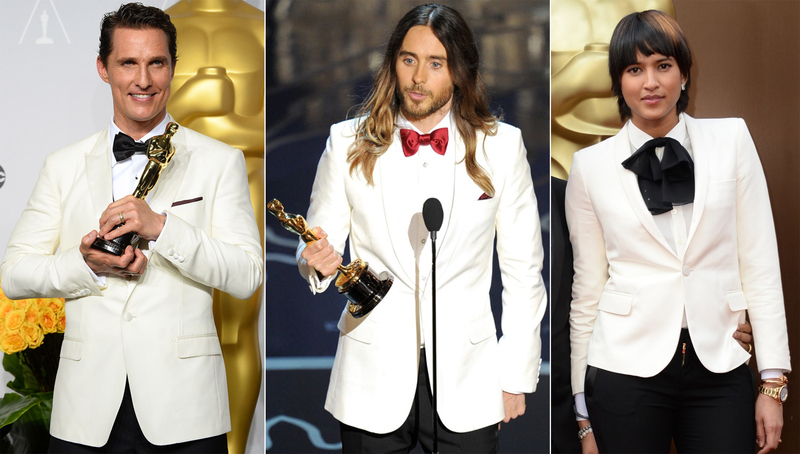 Give your go-to black topper a break, and opt for a wild-card white blazer like Jared Leto and Mathew M. It’s not a daily affair that Hollywood’s male stars make a bold statement on the red carpet – black tuxedos still rain supreme. 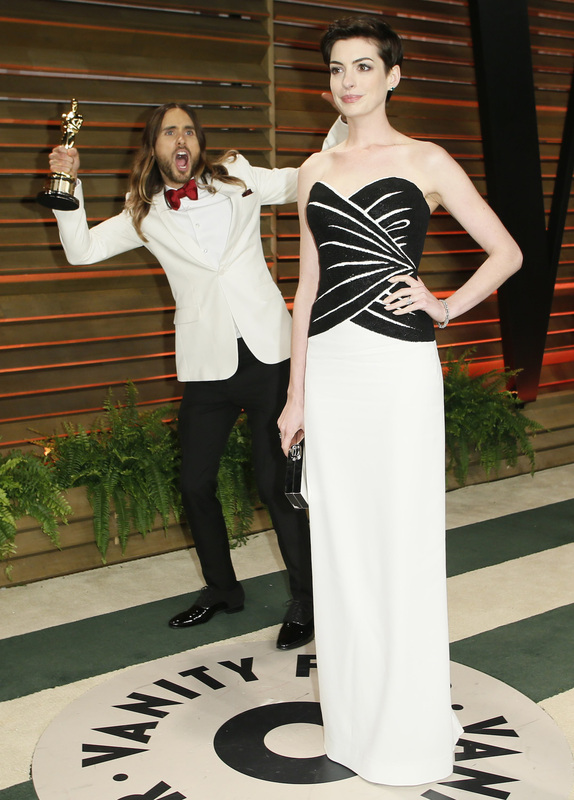 However, The ‘Dallas Buyers Club’ actors weren’t about to blend in on Oscar night. Best Actor winner not only had all eyes on him during a compelling acceptance speech, he also snatched attention with his snazzy Dolce & Gabbana suit. Jared accepted his Best Supporting Actor trophy in ivory, Saint Laurent jacket and scarlet bowtie perfectly complimenting his ombré hair, don’t care attitude. Evan Pharrell William’s lady friend, Helen Lasichanh rocked the light-colored blazer at the AA’s. However, if it weren’t for the edge of Leto & Lasichanh’s styling and hair ‘dos, this white jacket may have felt a little too 1970s prom date. Oscar’s and scary teen dances aside, these are two great examples of how to wear the blazer for a formal gathering. But like Jared Leto’s hair, the jacket is versatile. 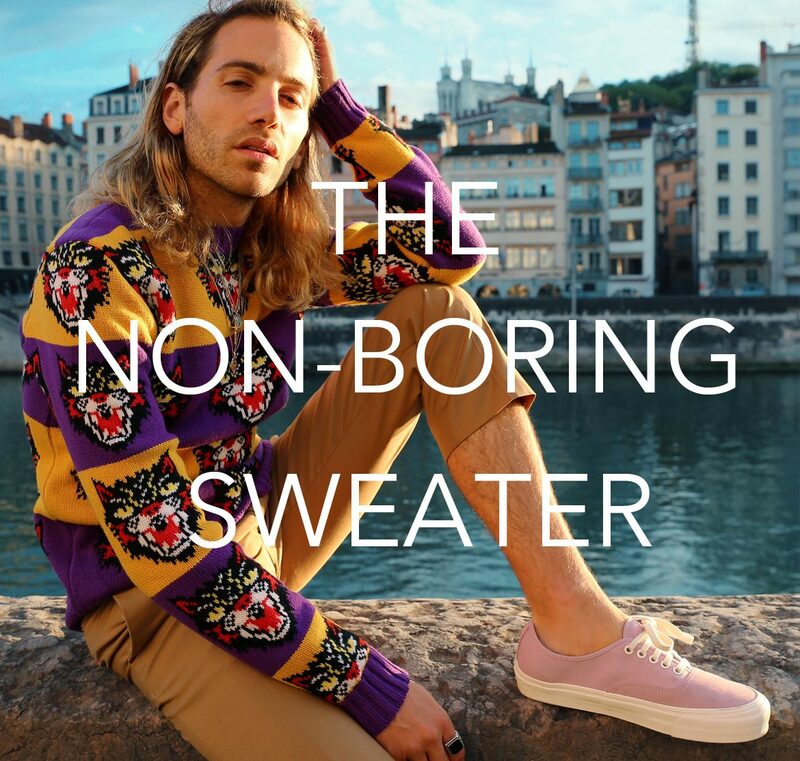 W It’s the ideal jacket to slip on for that daytime garden or roof party this spring. Throw a pair of your favorite jeans and a navy tee and, for the full effect, let the white blazer (like this Valentino blazer) stand out against it all. You can still pull off a grunge look with a splash of glam. 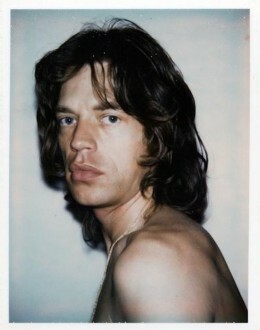 Here’s a question worth canvassing: why did men ever stop rocking ‘70s hair styles?